Because it’s October, I’m going to try to feature creepy or halloween Fanart that naturally has a Hunchback twisted. This one made my me. It was made quickly because I ran out of time. It’s goofy and slightly creepy. Really? Really? Is nobody going to say it? Am I going to have to? FINE. 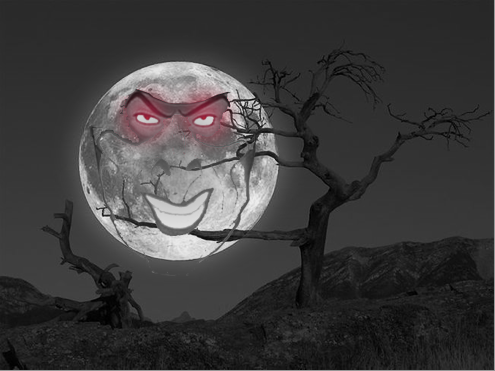 I am the shadow on the moon at night, filling your dreams to the brim with fright! Speaking of which, I remember seeing a Disney Hunchback AMV of “This is Halloween…” a GOOD one, with the original recording of the song. And now I can’t find it. And that makes me very annoyed. In the meantime, I’m just going to entertain myself by watching this while shoving Wheat Thins in my mouth. I’m sad to say I didn’t even think about that reference. There IS this one, but it’s not the one I remember and (with all due respect to the video maker) it’s just not as good. There’s weird filter effects, there’s a distracting watermark the entire time, the chosen clips and editing aren’t quite as snappy and clever, and it’s NOT the original version of the song! Whine whine whine moan. Turns out that the person who made the original AMV I was talking about closed their youtube account.